$439.99 Seen a lower price? Packing two oscillators, a multimode filter, amp and filter modulation, step sequencing and an arpeggiator, Bass Station II gives you everything you need to make bleeding-edge basses, leads, pads and FX. 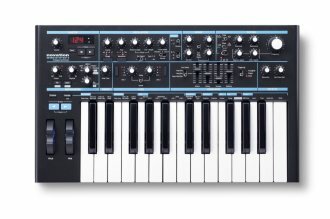 Yet despite all that power and adaptability, it couldn't be easier to program and play, thanks to its intuitively arranged controls and full sized 25-note keyboard. 128 on-board presets (with 64 factory sounds and downloadable artist patches) let you store, recall and adapt your favorite sounds. Featuring two tuneable oscillators, a sub-oscillator for enhancing the all-important low end, plus noise and ring modulation, Bass Station II more than delivers when it comes to generating raw tones. 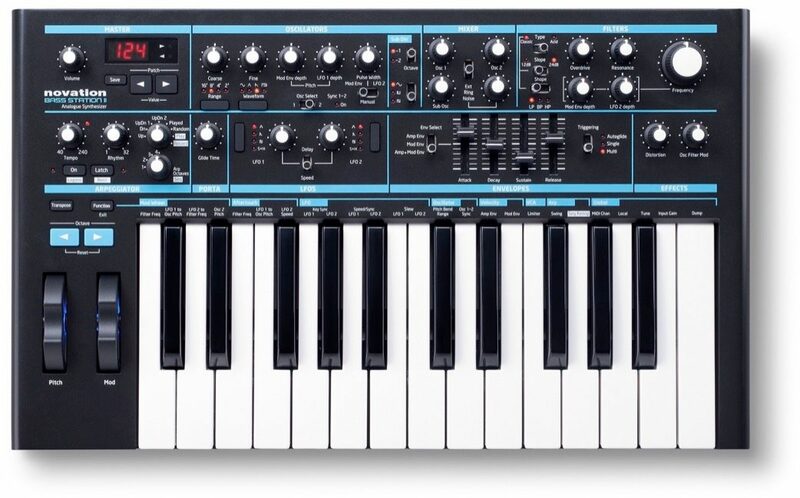 It's also got two distinct analogue filter types - the Classic multi-mode filter of the original Bass Station and the all-new 24dB/octave Acid filter, with its darker, smoother sound - and plenty of modulation in the shape of two LFOs and a pair of ADSR envelopes. When you need instant melodic inspiration, Bass Station II's pattern-based arpeggiator and step sequencer are ready to roll. Record your own patterns into the sequencer in real time, then store them for use with any patch. Sequences and arpeggios automatically sync to your connected music software or MIDI hardware, and swing can be dialed in when you really want to get your groove on. Available until 11 PM (EST) today. Mention special code 1ZT-HPH7 when you call.